So I’ve been prowling the shops and online stores in search of my top gifts for your favourite foodies. I’ve tried to keep the prices relatively low because if your budgeting skills are anything like mine, you won’t be up for spending a lot, but there are a couple of more expensive items if you want to blow the budget. So whether it’s a keen cook or a drinks connoisseur you’re shopping for – hopefully there’s a gift here for you! 1. Glasgow Wine School: until a little while ago I didn’t even know there was a wine school in Glasgow, but now I’m super keen to go myself. In terms of Christmas gifts, they offer vouchers starting from £22.50, and gift experiences from £55. 2. The Cookery School: get that special someone a voucher towards a cookery class such as a Chocolate Workshop, Healthy Eating and more. Prices start from £29.50 and go all the way up to £399 if you really want to blow the budget. 3. Cure & Simple: If you’re anything like me, there’s someone in your life who loves bacon. A lot. This gift is the perfect answer. The recipient will have handmade and cured bacon delivered to their door from just once to every month – if that’s not love, I don’t know what is! Prices start from £11.90. 4. LSA Polka Wine Glass Set: I love the entire LSA glassware collection but this set has always been my favourite. The colours don’t exactly scream ‘winter’ but they’ll look great on your dining table or outside for a BBQ when Spring comes! Available from Occa-Home for £30. 5. Molecule-r AROMAFORK Tasting Forks: this is the perfect gift for big fans of Masterchef and Heston Blumenthal. The kit is designed to trick the senses and is great for the foodie who wants to try their hand at fine dining. It’s available for £45 from John Lewis. 6. Make Your Own Fudge Kit: Who doesn’t love fudge? This kit allows you to cook up three different flavours of home-made fudge, including Strawberries & Cream and Sea Salted Caramel. If £45 is too much, this kit only costs £24.99 from Lakeland. 7. Tom Kerridge’s Best Ever Dishes: I am a huge fan of Tom Kerridge, but I found this recipe book a little intimidating when I first read it. After seeiing his TV show and how easy and down right delicious. It’s definitely for the more keen cook but the recipes are definitely worth the effort! It’s available in hardback from Waterstones for £20. 9. 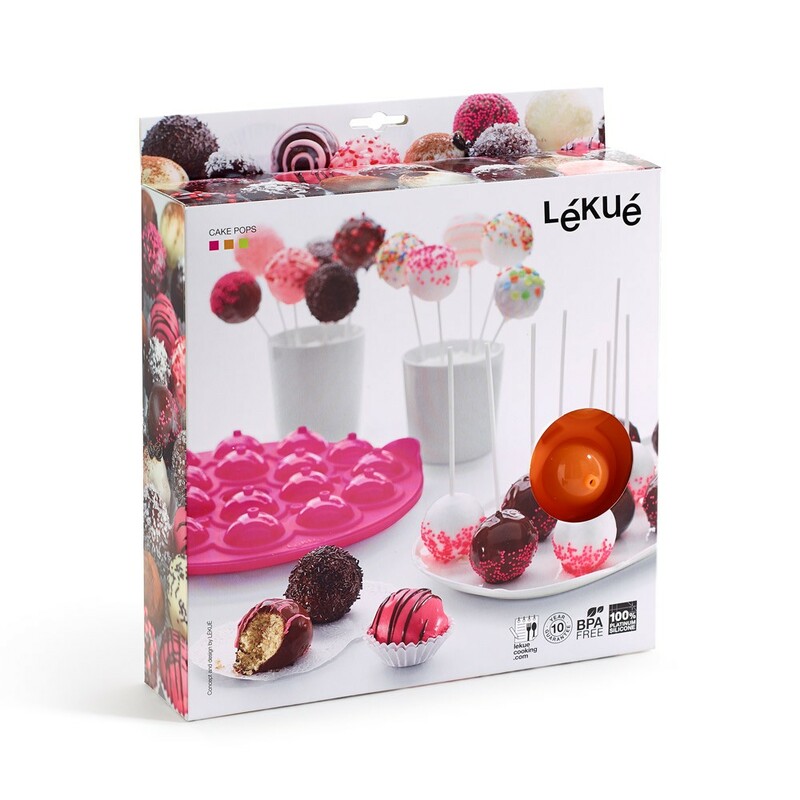 Lékué Cake Pops Kit: Cake pops are huge baking trend and this kit makes the process really easy without adding another mini appliance to your kitchen! The mould makes 18 cake pops, is oven proof and doubles as a holder for the pops while the icing or glaze dries – perfect for the avid baker! Available from Occa-Home for £33.25. 10. The Modern Cocktail Champagne Mixers: I always eye these ups when I see them in store – it took me a while to decide which mixer pack to choose (there are options for vodka, rum and tequila as well.) The pack includes 5 miniature bottles to make your champagne special, including Blood Orange Mimosa and Mango Bellini – as if you needed an excuse to crack open the champagne! Available from John Lewis for £10. 11. Ochil Fudge Pantry Selection Box: I can’t state enough how much I love Ochil Fudge. Ever since I first tried their fudge at the Lomond Shores Farmers Market I have adored them and their wide range of flavours. You can get a selection box consisting of four bars of your choice from their website for £7.50. 12. Elgento Candy Floss Cart: Ok, so this is quite big for a ‘stocking filler’ but it’s adorable! This vintage, fun-fair style cart allows you to make yummy pink candy floss at home, perfect for parties and kids birthdays! Available from Deluxe Homebrands for £26.99. Hopefully something here has peaked your interest and you’ve found the perfect present for that special someone – if not, well, maybe you found something to put on your own Christmas list!